Set to open on June 2, 2018 the Macallan Distillery is a striking piece of contemporary architecture is cut into the slope of the land, taking its cues from ancient Scottish hills and maximising the aesthetic beauty of the building whilst minimising the visual impact on the Speyside landscape, which has been classified as an ‘Area of Great Landscape Value’. 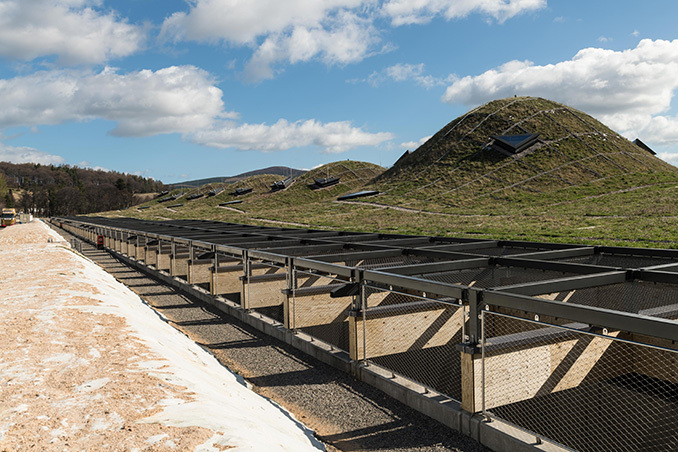 It is the first distillery on Speyside to be designed by an internationally acclaimed architect, Rogers Stirk Harbour + Partners, who were selected to lead the project after an international competition. Grass-covered peaks rise and fall from The Macallan estate grounds, signalling to approaching visitors the activities housed beneath. 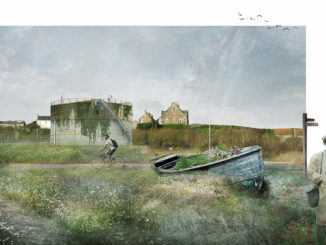 Set into the naturally sloping contours of the site, the design makes direct references to ancient Scottish earthworks. 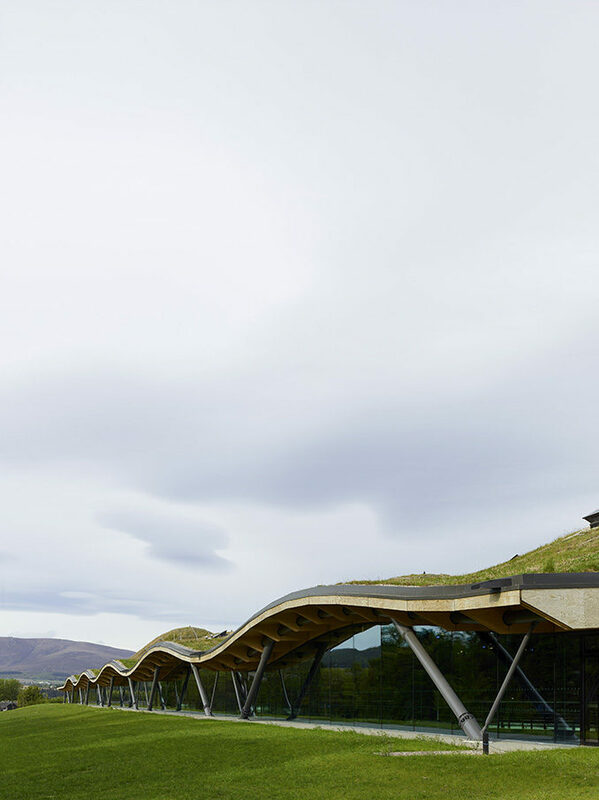 The Macallan as the buildings that make up the distillery and so a subtle manipulation of the terrain to reveal the built form and control views without appearing forced or overtly grand. The great 18th century garden designers knew the importance of flow and movement in a large landscape; that parks should be experienced on a meandering journey. 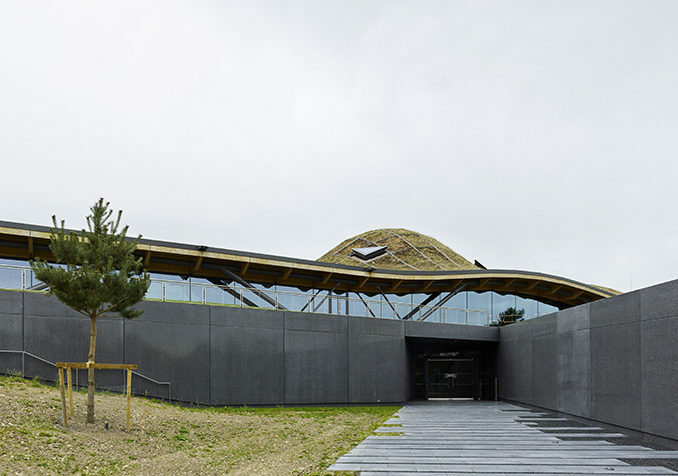 The undulating timber roof structure is one of the most complicated timber roof structures in the world, comprising 380,000 individual components. Each junction and beam has a specific name and has been tested in over 160 different load conditions while ‘The Swiss Alpine Design code’ has been used to understand the effects of wind, snow and ice on the intricate structure. 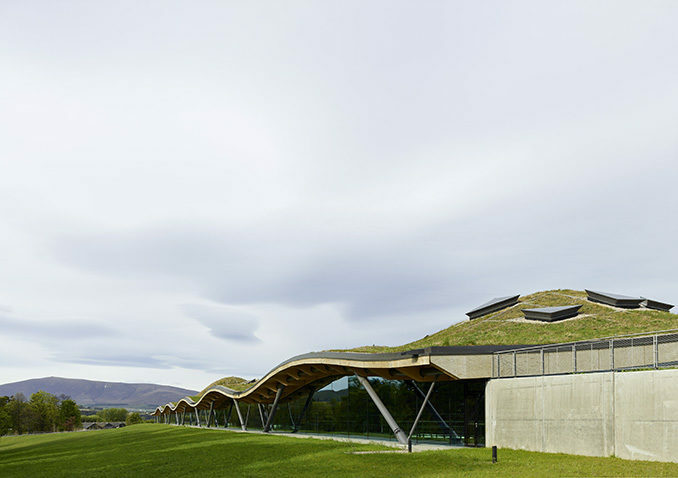 Natural materials – local stone, timber and the living meadow roof – as well as the landscaping design not only evoke the environment and ingredients of whisky production but also serve to provide an atmospheric journey for the visitor. A number of specialist consultants were appointed to support the interior fit out including Atelier Bruckner, Concept Bars and Modo+. Robertson delivered the complex architectural design, working with 25 contractors to bring the vision for the new distillery and visitor experience to life. During construction, up to 400 people specialising in more than 20 different trades were employed on site.